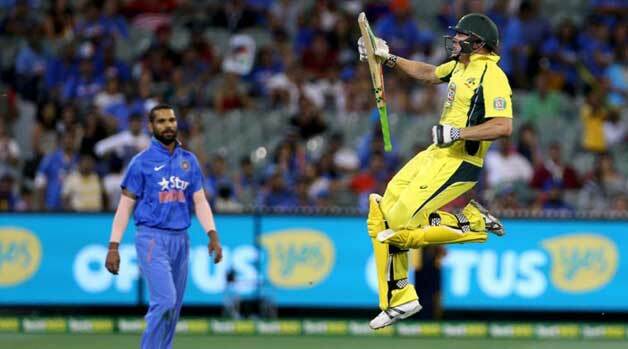 5 Reasons which makes Australia the red-hot favorites for World T20: Finally, we are in the month of March. In many parts of India, it’s a period of time which marks the dusk of the winter completely while the dawn of the festive season which colours the nation in the cocktail of joyfulness and enchantment. Though different months hold contrasting significance for people from varied fields but for all the cricket aficionados, the month of March leads to only one destination, World T20. The Marquee tournament is all set to take place in India and radiate sparkling luminosity over the lives of the cricket fans across the globe. Today, we glance at one of the strongest contenders for the World T20, the Kangaroos. We will dig deeper and decode the reasons which makes the Men in Yellow, the primary contenders for the tournament and a force to reckon with in the World T20. Yes, indeed for most of the top-rated Australian national players, India is nothing less than their second home. Since the inception of the Indian Premiere League (IPL) in 2008, the Australians have been active participants in the cash rich league. In all these years, players like Shane Watson, David Warner, Glenn Maxwell, Steven Smith, James Faulkner and Aaron Finch who form the core of the Australian team have not only developed familiarity with the Indian conditions but they have dazzled the league with their sterling performances as well. One thing is for sure, experience is a priceless commodity which cannot be purchased from any supermarket. So, the invaluable knowledge and expertise of the Australians in the Indian conditions will surely reap fruits for them in the World T20. Next articleEvolution of T-20 Cricket: From enchanting England to conquering the world!